I am taking entries for April! If I don't answer right away I apologize! Awwww Sarah!! Soooooooooo happy that you and your family are getting a rest from all that has gone on lately!! Hope all get some much needed R&R and some fun time too!! So happy that Kalysta is doing better - bless her heart!! Everyone understands that family comes first!! Thanks for all you do for us with the contests!! Have fun!!!! Enjoy!! Thanks for letting us know, I will be sure to pass the info along if people miss this post!! I am working on my entry for April AOTM! 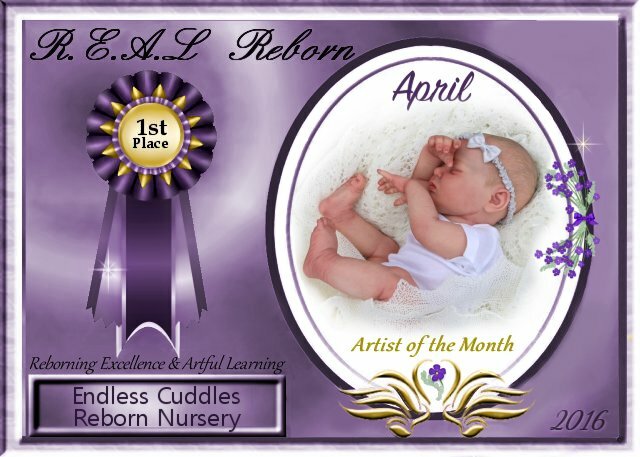 Can I just clarify the Artist of the Month rules as I've read quite a few changes and it is confusing? 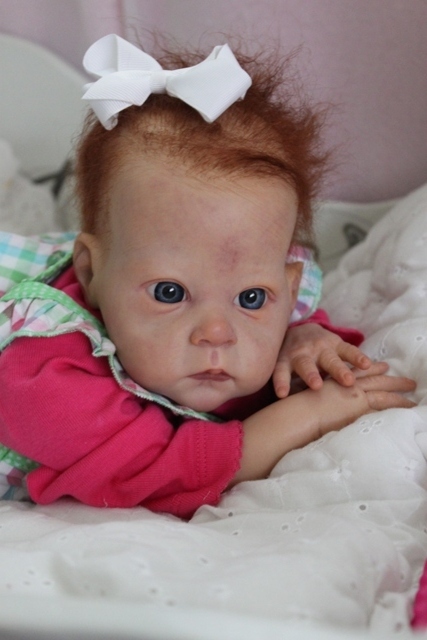 Can the reborn have been shown on other forums (including Facebook and Ebay) except REAL? And if I enter for April does my entry have to be in by the 15th March? And last questions how many entries is one person allowed and are there themes for different months? You can share WIP on other forums. Hope that helps. Judy - it is confusing because the first post has been edited to be correct but then there is a lot of "older" discussion and input that ended up being changed due to a lack of participation. The post that Lara quoted is current. Thanks Lara and Pia. I did read the post that Lara posted before I asked the question but thought I must have missed something because I recognised a couple of babies in last months ATOM. I will try to get a baby ready to enter. Thanks for Answering questions Ladies!! Kalysta is just very slow to recover from surgery and medical procedures we figure. But finally well enough for the trip, I was worried for a bit! Cant wait to see your baby! Can you let me know if my entry got through to you okay? Im sure Sarah will let you know asap! She is working full time job. I also sent a private message to her for you. Hi Susan, I would send Sarah a pm and just ask her if she received them. Sarah usually lets you know she has them so It sounds like she just hasn't had time to check her entries today. I'm sure she will get back with you soon. If not she will give you time to re send them. Hey Susan, I haven't been on the board last couple days...been busy...sorry! I got your pics, super cute!! sometimes I may be slow to respond, but I will get back to you, no worries! BUMP! The REAL deadline for entries is TOMORROW! Sarah accepts entiies until she puts up the poll on the 20th, but the sooner the better is best! Hope to have many entries this month! LET'S MAKE REAL GREAT AGAIN! I did plan on entering but I ended up showing her on Facebook, so that disqualified me, and I still haven't finished the back of her hair either.
" This is the new guideline"
" This thread has been updated in the initial post. Runs 5 days and the baby can be shown anywhere EXCEPT on REAL. Entries due on the 15th. Would love to see some additional participation in the AOTM contests!" So you are ok to enter Judy! Especially when Sarah has been unable to start the contest on time, she will always extend and give us time to enter. Were you planning on entering for May AOTM? So far I only know about Pia wanting to enter, but others may have already sent their entries to Sarah. 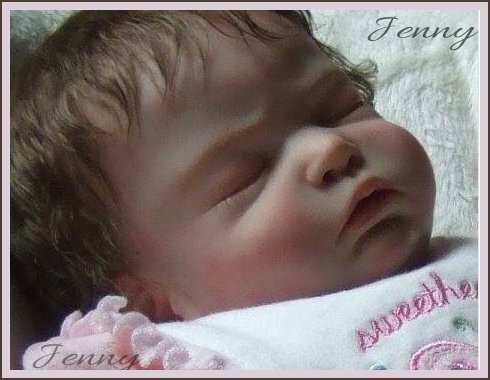 Yes Jenny I do ant to post a baby buy not sure of what month I am in. Didn't I see April done? I didn't see may posted. I am so tired of moving myself and family that I can't think. Don't let anyone say a 65 year old grandma is ready for a rocking chair and knitting!!! Lol but guide me if not ok late. I can do tonight or tomorrow. Thanks! Yes, the contests are always held the month BEFORE, so you are all set to PM your 3 pictures to Sarah!! Hopefully we will have enough entries, but if not it will be held the following month! as now I understand. Happy Saturday! If you read the rules, Sarah says that she will look for late entries up until when she posts the contest, and since she hasn't posted it yet, I'd say it's safe to send her an entry if anyone still wants to enter for May.